With St. Patrick's Day just around the corner, it's time for all things green. 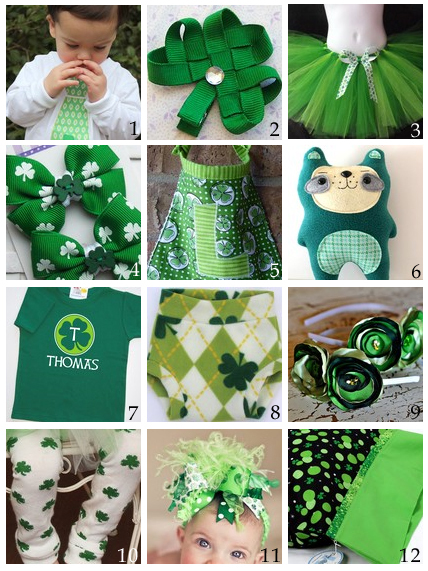 From classic shamrocks to fun polka dots and patterns, there's loads of handmade options for this festive day. Whether you have a little Irish in you or not, these St. Patrick's Day finds are simply too cute to pass up. thank you so much for featuring my item! I am so honored!! Plus, thank you Jen...for letting me know! Hugs!